*On early departures the Jacobite Steam Train does not operate and we make this excursion using Scotrail's scheduled service. 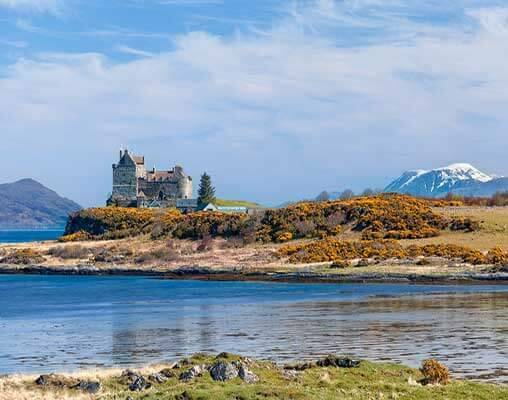 Also known as 'the Iron Road to the Isles', a journey on the West Highland Line is an epic rail adventure that takes passengers through some of the world's most beautiful and dramatic landscapes. In fact the line has twice been voted the world's best rail journey by readers of Wanderlust magazine. Running from Glasgow's Queen Street station, the train runs through the city's outskirts and on to Helensburgh. From here the train begins its ascent into the famous Highlands. Soon the train skirts the beautiful Loch Long, followed by the immense Loch Lomond, as it makes its way up the ever-increasing gradients. The journey continues alongside the Loch - Britain's largest body of inland water - whilst winding through pretty wooden slopes. Continuing northward through charming isolated villages, the train then climbs more than 500 feet (150 m) in just five miles, before arriving at the tiny hamlet Crianlarich. Here the West Highland Line splits into two branches. One continues to Fort William and Mallaig, the other heads west to Oban. The wonderful journey on the Jacobite Steam Train takes us along a section of the West Highland Line, which stretches from Glasgow to Mallaig, and takes passengers through some of the most breathtaking mountain scenery in the UK. We begin in the town of Fort William, spectacularly situated with Ben Nevis as its backdrop. As we leave Fort William we travel along the shores of Loch Linnhe before tackling the increasingly demanding Highland terrain. At Glenfinnan we reach the most scenic and dramatic section of the line, as the train crosses the 21 arches of the Glenfinnan Viaduct: a magnificent feat of railway engineering. Leaving Glenfinnan, the landscape opens up and we catch our first glimpse of the sea and the small islands close to the shore. During this section of the journey, the Jacobite Steam Train travels across two more viaducts: Gleann Mama and the Borrowdale Viaduct before reaching the small towns of Morar and Arisaig. On a clear, sunny day, the white sandy beaches along this stretch of coastline provide a beautiful contrast with the blue waters of the sea. 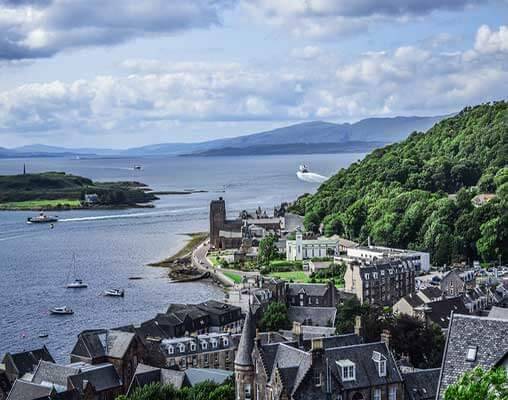 From here, it is only short distance to our final destination, the busy fishing town of Mallaig. The Kyle Line takes us on one of the most scenic rail journeys in the British Isles, travelling between Inverness and Kyle of Lochalsh. On leaving Inverness, the line hugs the shores of the Beauly Firth before heading north to Dingwall. From here, the line immediately turns inland and climbs over the Highlands. As a result of a dispute with the landowners of the time, the builders of the railway were forced to make a sharp detour around Strathpeffer. After a steep climb to Black Rock the line descends through beautiful wooded hillsides until it reaches Garve on the shore of Loch Garve. On a still clear day this loch perfectly mirrors the surrounding hills and trees. From Garve station the line climbs up to the broad straths leading to the West Coast before climbing to the summit of the line at Luib. The line then descends to the magnificent scenery of Loch Carron, where it twists and turns in and out of the loch side inlets. Plockton station and village, with yachts anchored in the shelter of its beautiful bay, is the next passing point, and was the location for the BBC Television series 'Hamish Macbeth'. The final section of the journey is perhaps the most dramatic (and the most expensive), as it was carved through the solid rock that leads to Kyle Pier. Kyle of Lochalsh ("strait of the foaming lake") sits at the entrance to Loch Alsh, opposite Kyleakin on the Isle of Skye. The two villages were formerly connected by a ferry service, but this was replaced by the Skye Bridge in 1995. Please note: some of our tours travel on this route in reverse from Kyle of Lochalsh to Inverness or travel just part of this route. See individual tour for details. We use the Scotrail service, travelling in Standard Class, on early tours that use the West Highland Line in Scotland. Scotrail is operated by Abellio, and links the main cities in Scotland, taking us through some of the most stunning scenery in the world. 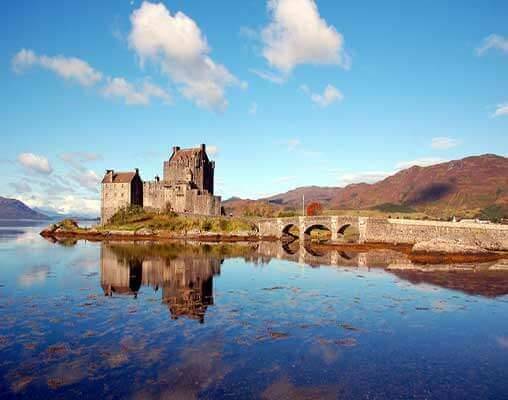 On these trains, we see some of the most famous sights in Scotland, including Loch Lomond. 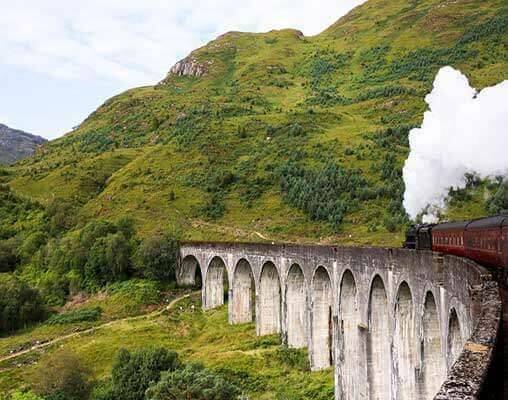 For customers taking the service to Fort William and Mallaig, we will travel over the spectacular Glenfinnan Viaduct, an incredible feat of railway engineering that has been most famously featured in the 'Harry Potter' films. Other customers may be going west, to Oban, where you will pass the Falls of Lora and the atmospheric Kilchurn Castle on your journey. 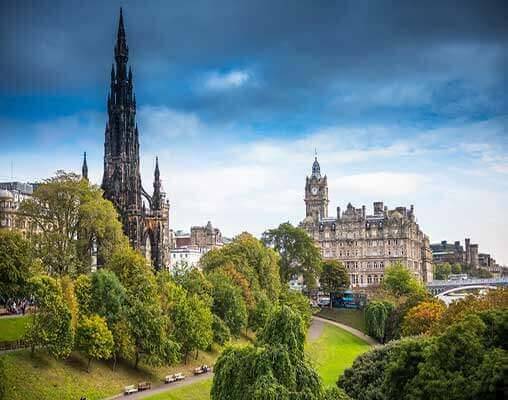 The 4-Star Apex Waterloo Place Hotel is ideally located at the eastern end of Princes Street, close to Edinburgh Waverley Railway Station. The boutique-style hotel has a restaurant, bar, an indoor pool, sauna and spa. The rooms feature a television, fridge, safe, tea and coffee making facilities, luxury toiletries and complimentary Wi-Fi. Nestled on the shores of Loch Leven, the Isles of Glencoe Hotel offers a superb base for exploring the Western Highlands. The hotel's facilities include a swimming pool and bio-sauna, in addition to a well-equipped gym. The rooms feature amenities such as complimentary Wi-Fi, a television and tea & coffee making facilities. 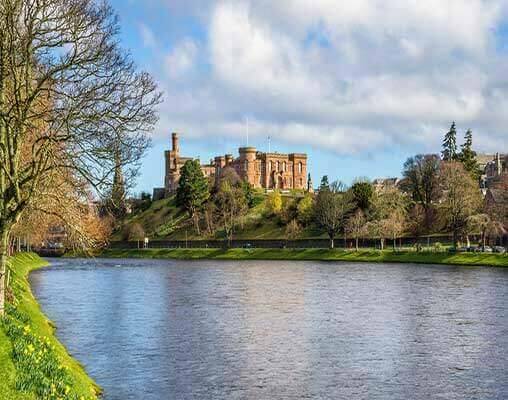 The welcoming 3-Star Best Western Inverness Palace Hotel & Spa on the banks of the River Ness is a short walk away from the city center and the perfect place to relax and watch the river flow by. Built over 100 years ago, the hotel is equipped with a swimming pool, leisure club, brasserie and lounge. Rooms include hairdryer and television. The stylish 4-Star Radisson Blu Hotel is perfectly located on Edinburgh's Royal Mile, half way between Holyrood Palace and Edinburgh Castle. The hotel has a restaurant, a bar with a tapas-style menu and a leisure club with a jet stream pool, sauna and a gym. The leisure club also offers treatments such as massages and facials (pay locally). The rooms are decorated in a relaxing, contemporary style and feature individual climate control, telephone, television, minibar, tea and coffee making facilities, safe and a hairdryer. Click here to view testimonials for Edinburgh, the Highlands & Islands. Nice itinerary and seamless travel. 24th April 2019 $2,045 Please call for availability. Enter your details below if you would like to be notified when 2020 dates and prices are available for Edinburgh, the Highlands & Islands.